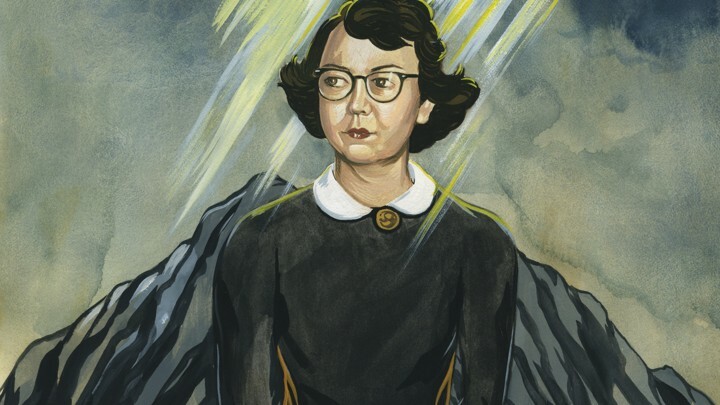 Today marks the birthday anniversary of the late Flannery O’Connor (1925-1964), the acclaimed novelist who wrote with a splash of hellfire and holy water. She used her enormous writing talents to often delve into spiritual transformation of those in the “Christ-haunted” American South. O’Connor, a devout Catholic lay woman, was never short of pithy statements about the human condition. O’Connor died at age 39 after having suffered from lupus for the final decade of her life. We are grateful for her gifts and remember her talents with great appreciation.